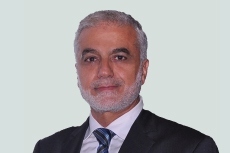 Abu Dhabi, 20 July, 2013 – Insurance House PSC (IH), a publicly listed company on the Abu Dhabi Securities Market, has announced the appointment of Ahmad Idris as Chief Executive Officer (CEO). Ahmad Idris is a leading professional in the insurance industry with more than 36 years experience within the UAE and internationally. The new CEO shall bring new business insights and add value to Insurance House’s success and achievements. Mohammed Abdulla Alqubaisi, Chairman of Insurance House, said: “We are pleased to welcome Ahmad Idris to our family as Chief Executive Officer of Insurance House. With determination to accelerate business growth and mark additional success and achievements to Insurance House, Idris’s strategic management skills and extensive experience in the Insurance industry will surely be essential as he takes up the challenge of leading Insurance House to another level”. The newly appointed CEO, Ahamad Idris, Said: “Insurance House has achieved many remarkable milestones in a short period of time. It is certainly an honor to be part of this family. I intend to strengthen IH’s position to be a leading company in the insurance industry in the UAE. It is a big responsibility to build up on what Insurance House has achieved so far in the UAE market. Insurance House has invested in the right people and infrastructure to realise its growth plans which shall enhance my mission". Ahmad Idris will be succeeding Mohammed Othman, the former General Manager of Insurance House, who established Insurance House and drove it to remarkable success in a short period of time. From its head office in Abu Dhabi and 3 other branches located in Dubai, Sharjah and Samha, Insurance House offers a wide range of insurance products and services designed to provide valuable solutions to institutions as well as individuals across the United Arab Emirates, meeting international standards in compliance with the local requirements ranging from conventional to specialized insurance classes with a strong focus on minimizing costs and expenses and delivering comprehensive services to reinforce the competition in the market.